Though Mansur is no longer with us, our mission is to preserve, maintain and pass on his vast knowledge and experience. When Mansur was nine years old, living in an orphanage in the city of Ufa, in the Ural Mountains of Eastern Russia, he was selected to attend the Leningrad Choreographic Institute, which is now known as the Vaganova Ballet Academy. Mansur studied directly with Aggripina Vaganova as well as other illustrious and legendary teachers and choreographers. One of Mansur’s teachers was Alexander Shirayev, assistant to Marius Petipa, and the codifier of Character Dance. After graduating as a distinguished student, the Communist authorities tried to send Mansur back to Ufa, but upon the personal intervention of Aggripina Vaganova and his other teachers, Mansur was allowed to stay in Leningrad and join the Kirov Ballet Company. During this time, Mansur had a feature role in the film “The Ballet Dancer”, also starring Galina Ulanova. Shortly afterwards, upon personal invitation of Vakhtang Chabukiani, often considered the greatest male dancer of the 20th century, Mansur joined the Tbilisi Ballet and Opera Theatre as Principal Dancer and Teacher. In 1951, the Bolshoi Ballet Company and School invited Mansur to join as Principal Dancer, Ballet Master and Teacher. He was assistant to Leonid Lavrovsky, who was then the Artistic Director of the Bolshoi Ballet, and Mansur was Acting Artistic Director when Mr. Lavrovsky was absent. Mansur was a soloist in the Bolshoi Ballet’s first tour outside of Russia, and later toured Europe, North America and the Pacific as one of the Stars of the Bolshoi. In 1963 Alicia Alonso invited Mansur to be a guest teacher at the Ballet Nacional de Cuba in Havana. After his retirement from dancing and return to the USSR, Mansur choreographed numerous ballets for the Bolshoi’s international tours. In 1969, Mansur won the USSR National Choreography Competition for his original ballet, “Russian Souvenir”. Many of Mansur’s students at the Bolshoi Ballet School became stars of the major Russian ballet companies, among them Mikhail Lavrovsky, Maris Liepa, Vladimir Vasiliev and many others. Mr. Vasiliev later went on to assume the position of Artistic Director of the Bolshoi Ballet and Opera Theatre. Mansur left Russia in the 1970’s, sacrificing his established career there, to seek freedom for himself and his family in the West. He first settled in Rome and taught at Valeria Lombardi’s Centro Studi Danze Classiche. 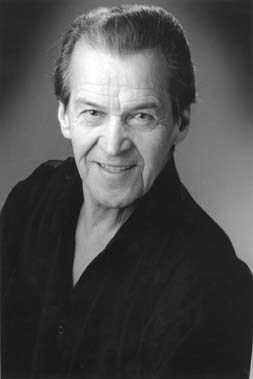 Mansur came to the United States in 1977 and began work as a teacher at the Joffrey Ballet Company and School. He has taught, coached and choreographed at the American Ballet Theater, Boston Ballet, New York City Ballet, Metropolitan Opera Company, Richmond Ballet, The Julliard School, Hartford Ballet, Briansky Saratoga Ballet, Indianapolis Ballet, Houston Ballet and many others. He has been Professor of Dance at Point Park College in Pittsburgh, PA, Founder and Director of the Mansur Ballet School in Pittsburgh, PA and Williamsburg, VA, and Founder and Director of the Pennsylvania Russian Ballet. In 1989, Mansur was commissioned to choreograph a new version of Stravinsky’s “Firebird” for the Universal Ballet Company in Seoul, South Korea, starring Julia Moon. He has also choreographed special programs for the Pittsburgh Symphony Orchestra. Many of Mansur’s American students have embarked on distinguished careers as dancers and teachers. Mansur’s local alumni have joined the New York City Ballet, Pittsburgh Ballet, Stuttgart Ballet, Lyons Opera Ballet, Zurich Ballet and the José Limón Company, to name a few. Mansur also continues to coach and train dancers for major international ballet competitions. Recent students have participated in competitions in Varna, Bulgaria; Helsinki, Finland; Jackson, Mississippi and other prestigious venues. Mansur was the director of the Vaganova Summer School and Master Class Program, founding it in 1994. Mansur’s life long mission was to preserve and pass on the legacy of Classical and Character Dance: unique and vanishing art forms that can only be kept alive through the passing on of this knowledge to dedicated dancers. Mansur was a lifeline from the origins of this art form to modern students. Our mission is to preserve his legacy and facilitate the passing on of his knowledge. Copyright © 2019 Russian Ballet.